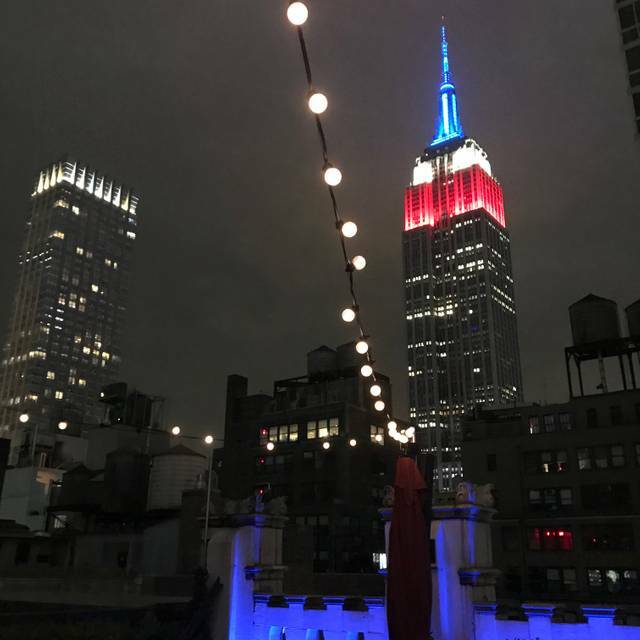 Refinery Rooftop is the crowning jewel of Refinery Hotel named America's #1 Rooftop Bar & Hotel Bar for 3 consecutive years by USA Today. 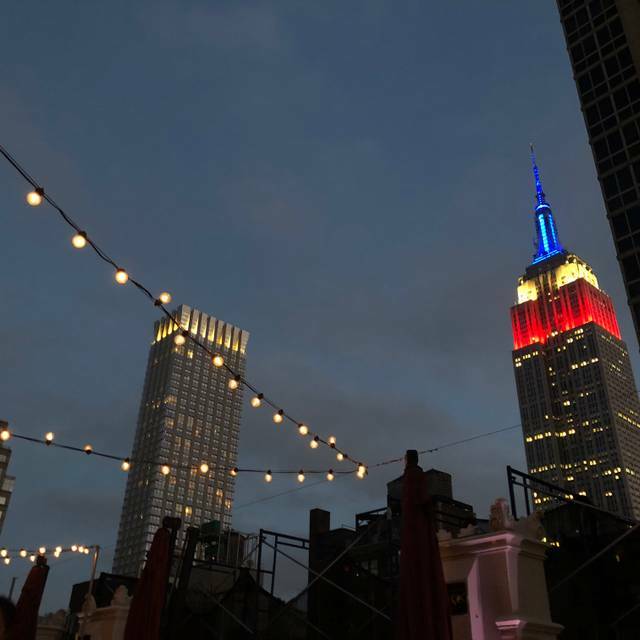 With awe-inspiring views of the Empire State Building and Manhattan Skyline, Refinery Rooftop is one of NoMad's most dynamic spaces. 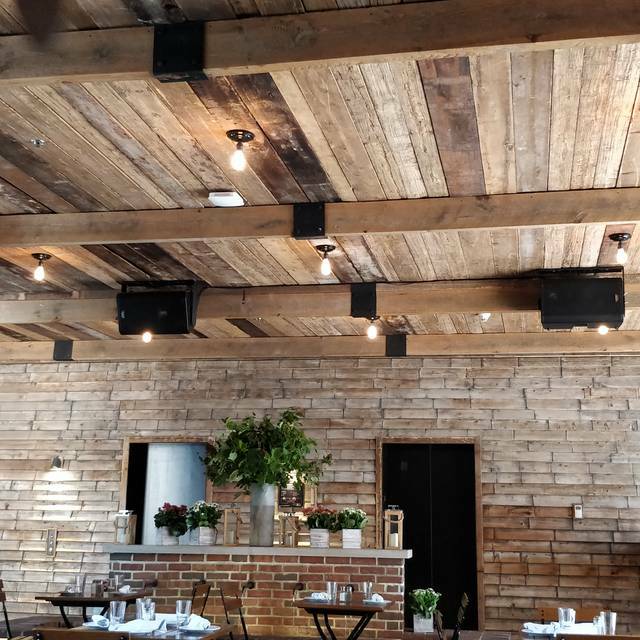 By day, the fashion set come for chef Jeff Haskell’s full lunch menu—ordering Seared Yellowfin Tuna, Grilled Hanger Steak Flatbread and the Little Gem Caesar Salad. At night, a lively crowd gathers for our signature cocktail list—developed by In Good Company Hospitality's mixologists with a focus on natural ingredients paired in refreshing combinations. The industrial chic design features re-purposed water tower wood, vaulted brick walls and archways, terra cotta tiles, fairy lights, and a retractable glass roof atrium as well as a water fountain and fireplace. 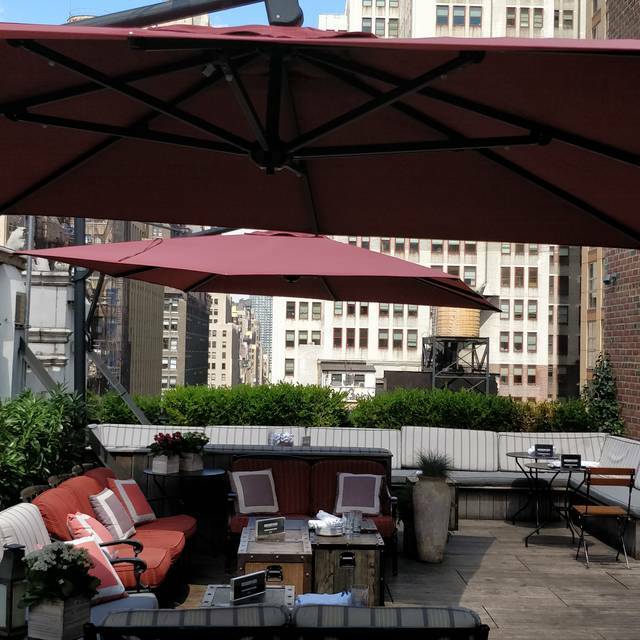 Refinery Rooftop is an all-season venue open 7 days a week serving lunch, brunch, evening small bites and open for late night cocktails. 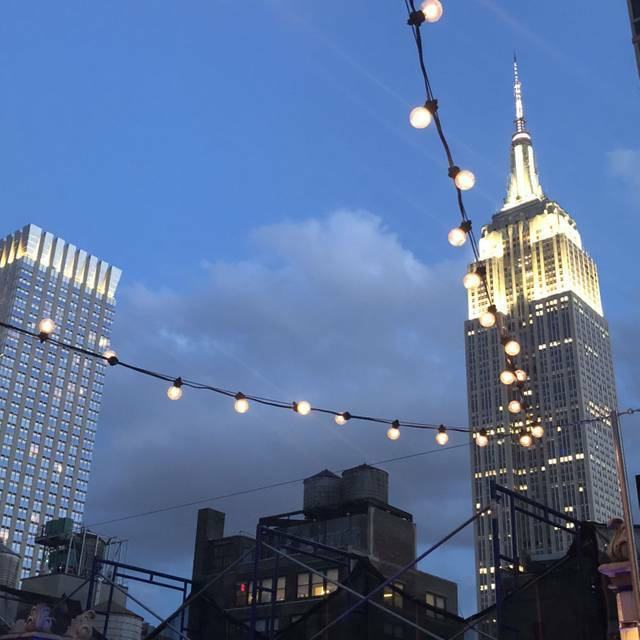 served monday through friday - 11:30 a.m to 2:30 p.m.
Refinery Rooftop is a rooftop bar in Midtown that actually isn’t the worst. If you work in the area, it’s a good spot for drinks with coworkers. the security was incredibly rude, i have never been treated that way. The food was excellent and the business lunch is priced perfectly. Soup, sandwich & a salad for $22.00. The tomato bisque soup was the best I have ever had. The atmosphere is wonderful and a perfect place to meet for lunch. Not all tables have good views! We were given the worst view! Loved my brunch!! !I got the bottle of Prosecco and paired it with peach. I also got the waffle brunch and I couldn’t be more happy. Excellent service! Incredible location and service! We will surely be back, the view was incredible! As were the drinks! It was a lovely afternoon lunching at the Refinery Rooftop! The food was terrific - plentiful and flavorful. The atmosphere and service really makes this place worth a visit. Cozy seating and lighting. Our server Aileen was top notch and so lovely. We will be back! A beautiful space with an inviting bar, a cocktail area with a fireplace, and a dining room with a glass roof made for a very pleasant lunch. There is a $22 two course 'business lunch' as well as a la carte. Seasoned olives, shishito peppers, hamburgers and flatbreads were all delicious and the service was gracious and attentive. Very well done. The food and ambiance was amazing! Views and ambiance are great! Cocktails very good. Door good. Service was not great. Actually wanted more drinks and didn’t see a waitress until we had to leave. Not even crowded at 5:00 pm. But can’t beat the views. Food was just OK but it’s a nice spot for a drink or to catch up with friends. Came here for my husband's birthday and loved it! Great atmosphere and service. The drinks were delicious and they treated us to a free dessert. They also have a featured drink and some of the proceeds go to charity - loved that. Good menu options. Tasty food. Great feel. Cool views. Always a beautiful place to eat a great meal, especially the outside area enclosed in the winter....only issue was the waiter had too many tables and couldn't provide excellent service. 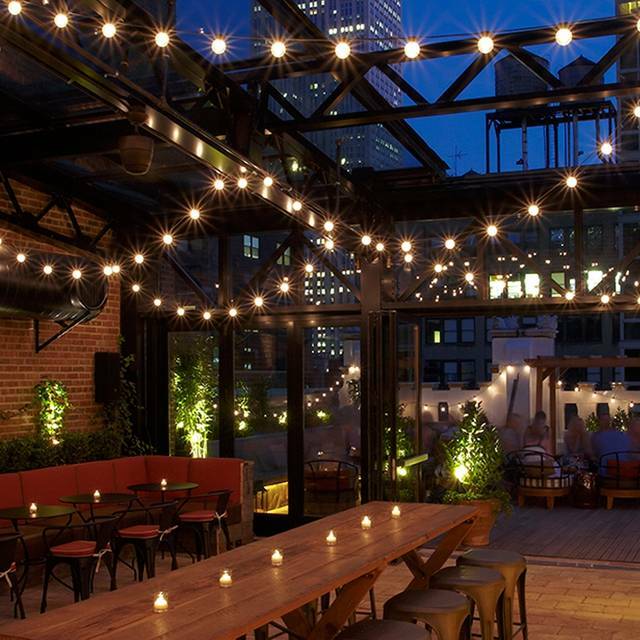 Refinery rooftop isn’t a restaurant, it’s a bar, but the food is more sophisticated than typical bar food. The space is very nice. We visited during the winter and it was nice but I am sure it would be spectacular in the summer. Service was great and we enjoyed the evening very much. The sliders were great and I can also recommend the calamari. quality lunch menu, good value....expensive wine.......attractive, attentive staff...great spot ! 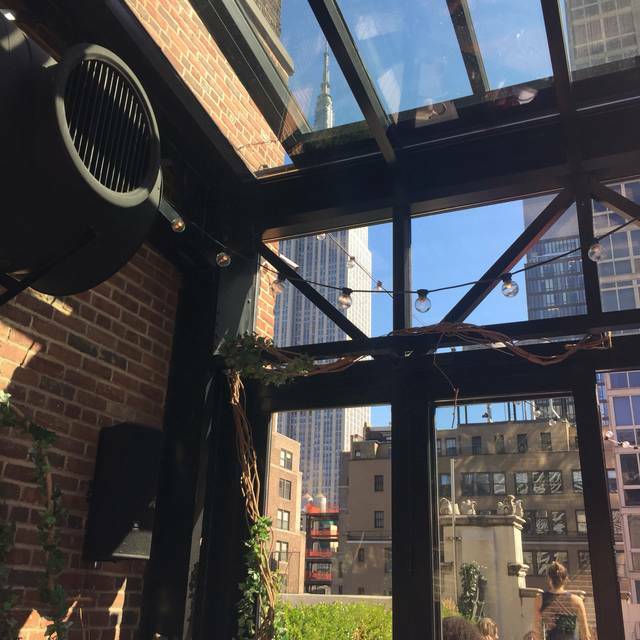 Perfect brunch oasis— it’s on the roof of a hotel and is glass enclosed so gives a relaxed, sunny vibe. Typical new-style brunch (avocado toast, savory waffles, etc.) done well. Great drinks with a great atmosphere! I would recommend this restaurant to anyone! The view and ambiance were really great here. The food was all right, kind of overpriced, but that's midtown for you. The wait staff was superb and our waitress was super accommodating and friendly. I would definitely come back, since it's a nice little place that wasn't too crowded for brunch on a weekend morning. Nice for a drink and appetizers. Not a good sit down dinner place. Definitely not good with kids. Great view as advertised. Food is a bit overpriced for what it is but the scenic views and outstanding service makes up for it all. very enjoyable brunch, waitress was lovely, it was a bit pricey for what it is. I would go back in the spring/summer. Lovely midtown oasis. Surprised venue does not have retractable shades, but staff accommodated table change. We went during our anniversary trip and arrived early. 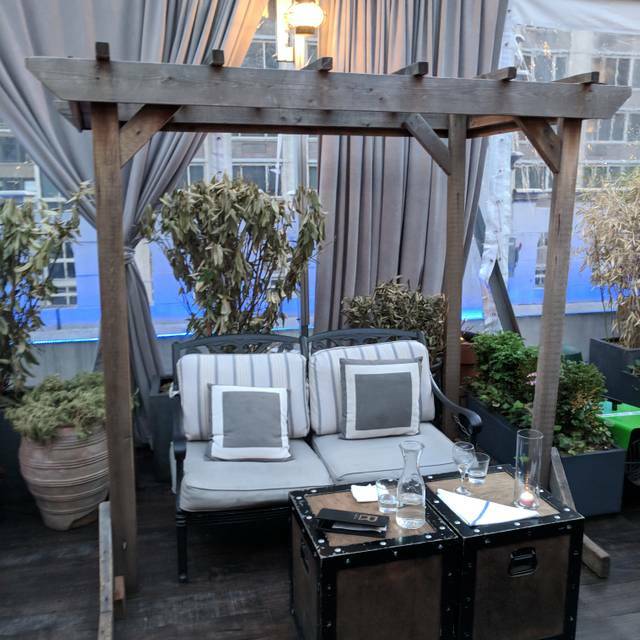 We were given a beautiful garden area table with views of the Empire State Building, a champagne toast, and a handwritten card! Drinks and food were great; service and ambiance were excellent! Great food with fabulous atmosphere! Excelente experience! Certainlly I’ll comeback. Food was great-our waiter, Charlie, was amazing! Great service - visited during a trip to New York for my partners 30th. Greeted straight away and asked what we were celebrating. Given a great choice of seatings outside under the cover. Service great throughout the night & food was very tasty. Extra thoughtful cheesecake & sparkler brought out to my partner to wish him happy birthday. Good atmosphere all round - very lively for a Wednesday evening but not too loud. 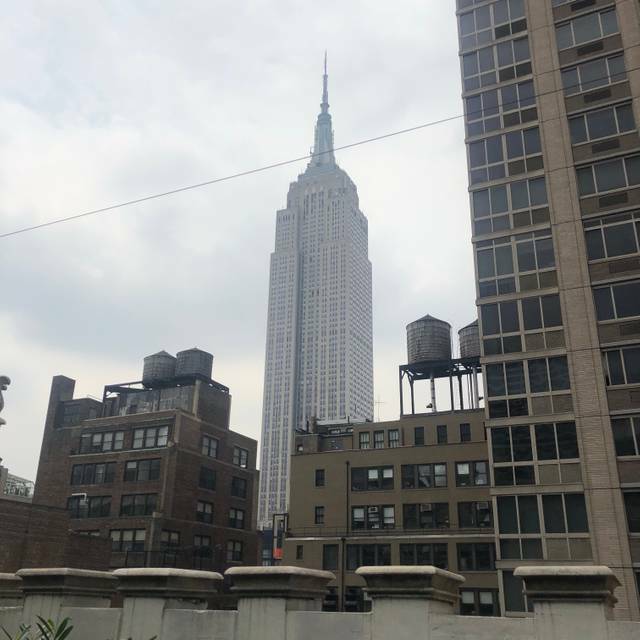 Would recommend as fair value for money considering the amazing view of the Empire State Building from your table. Went with a colleague for a lunch away from "office row" and immediately loved the ambiance, fireplace, windows and friendly staff. The meatball appetizer was delicious and we had salads for lunch. I definitely recommend, as it wasn't overcrowded and it was easy to hear each other speak. This place was so Nice and well situated in front of the ESB ! So Nice view ! Overall nice spot. Nice sliders and appetisers. But expect a rushed service for late bookings, gentle reminders to get your order as it was forgotten, food is basically unloaded on your table, including desert because of kitchen closing and the very annoying experience of basically having tables and chairs being moved away around you. I was not pleased with the limited menu... The food was over priced. Excellent service— Jordan was awesome!! Food tremendous and ambiance all that we could have wanted for a family celebration brunch! Thank you ...can’t wait to come back for date night soon!